Biscuits and gravy is an essential part of a good southern breakfast. Now, thanks to Lay's, you can have them for lunch, dinner and snack time too. 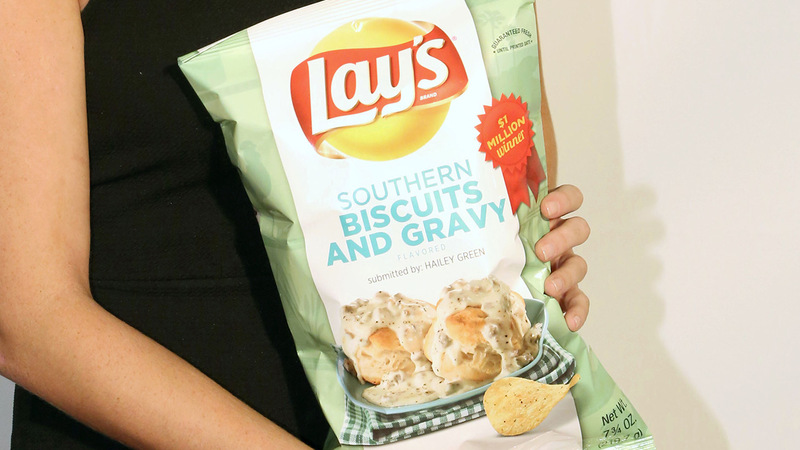 That's because Southern Biscuits and Gravy is the winner of the chip company's annual "Do Us a Flavor" contest. The chip flavor beat out three other offerings: Wavy West Coast Truffle Fries, New York Reuben and Kettle Cooked Greektown Gyro. All four flavors have been available for purchase since July 27, but now the three losers will disappear. Hailey Green of Indiana came up with the flavor, meaning she gets a $1 million prize. That's equal to about one percent of net sales.